At Clear Channel, research and insight plays an integral part in everything we do. That’s why we’re continuously investing in new and engaging research that furthers our understanding of the audiences we reach and the impact our Out of Home (OOH) advertising has on the consumer. 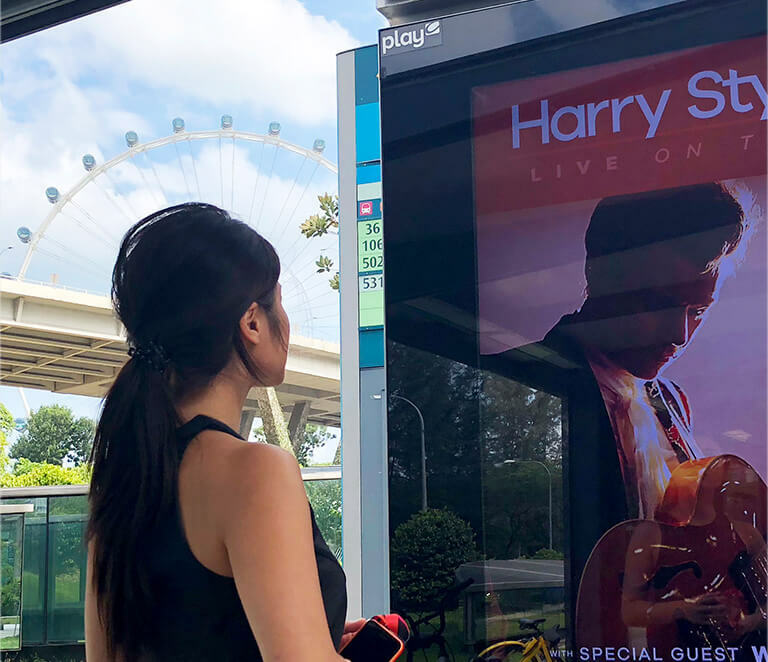 LEXI is Clear Channel Singapore’s pioneering audience- understanding video analytics system that tracks and measures the performance of out-of-home campaigns on our Play digital screens. How will LEXI benefit me? Provides actual campaign performance for your out-of-home investments. Plan with confidence using sharper data to increase the accuracy of audience targeting with the provision of pre-campaign and post-campaign data. Maximise the campaign’s impact with A/B creative testing to identify the more effective visuals. Monitors the number of people within the bus shelter. Tracks the number of people who viewed the ad. Measures the average time span of your audience’s views. Identifies audience by age groups and gender. Commissioned to an independent third party research company, Clear Channel Research Monitor (CCRM) is a pre/post survey research that measures ad recall of a campaign and brand perception. How will CCRM benefit me? Media platforms where respondents recall seeing the ad. Feedback on visual appeal and messaging. Measures if objectives of ad have been met. Where the brand stands amongst competitors. The brand’s positioning and public’s preconceived idea of the brand. 2019 © Clear Channel Singapore. All rights reserved.